Inimicus didactylus (Pallas 1769), the Bearded Ghoul. Indo-West Pacific; Thailand to Vanuatu, up to China. To eight and a half inches in length. Very venomous to the touch. Pix in N. Sulawesi. 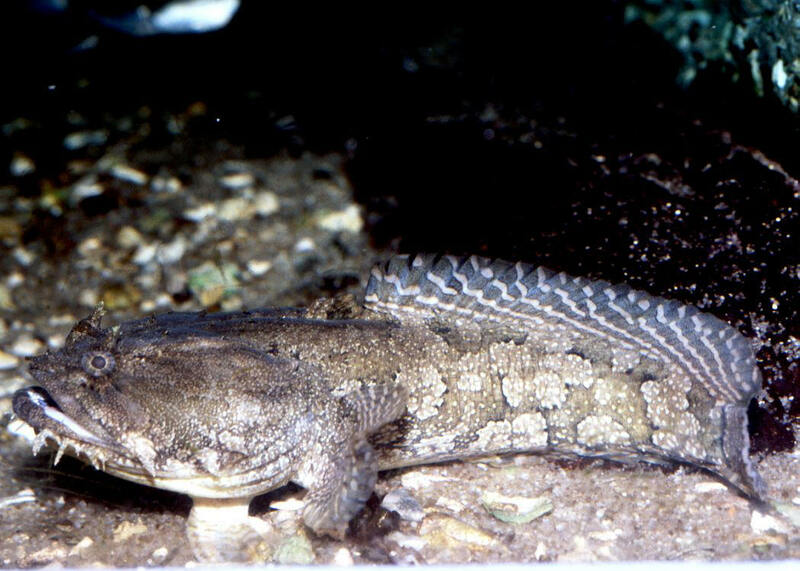 Cymbacephalus beauforti (Knapp 1973), Crocodilefish. Western Pacific. To 50 cm. Fishbase coverage. N. Sulawesi image. Opsanus tau (Linnaeus 1766), the Oyster Toadfish. Western Atlantic. Massachusetts to Florida. To fifteen inches in length. One in the Florida Aquarium.